Fig. 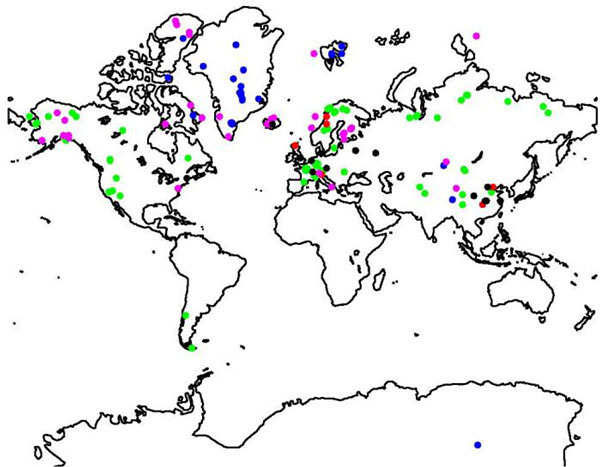 (1) (Color online) Locations of the proxy-temperature records used. Green color indicates tree-rings, blue ice-cores, red speleothems, magenta sediments, and black others.